Happy Friday, My Lovelies! 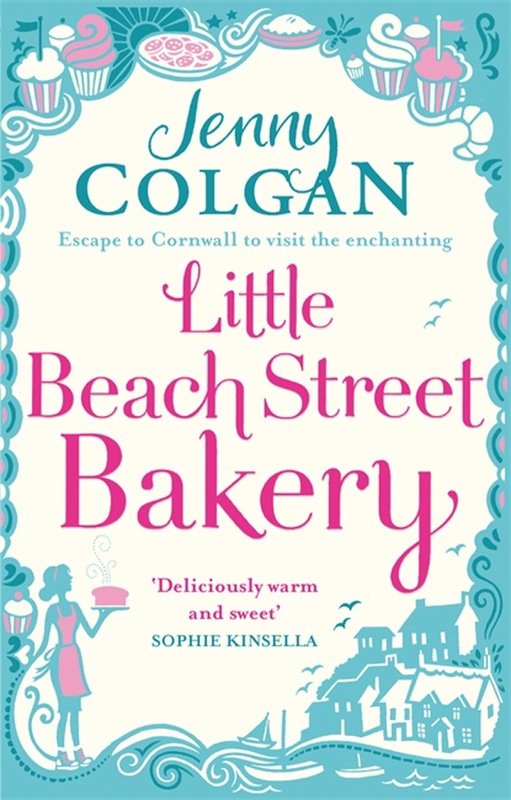 After last week's literary disappointment, a friend recommended a cozy little chick lit book entitled Little Beach Street Bakery by Jenny Colgan. This book is a very fun lake/beach read, and it even has a few fantastic recipes in the back which is another plus! What would you do if everything in your life went to hell in a hand basket: You lose your company, you lose your upscale apartment, you are forced to declare bankruptcy, and your boyfriend and business partner runs home to his mommie? 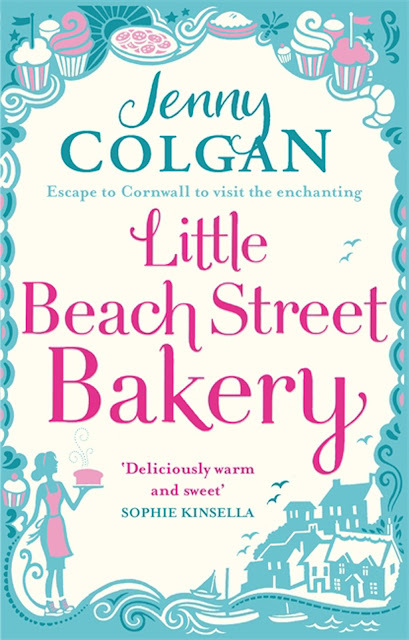 Jenny Colgan states in her blurb about the book that the story isn't simply about a girl who opens a bakery. To her, this book is really about "being brave; about striking out on your own when everything's against you. 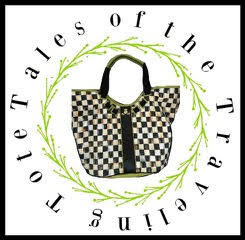 It's about daring to drop out of the rat race; about the satisfaction of making things by hand; of sharing with friends and neighbors; and how a simple creative act with a touch of flour and yeast can produce something quite magical." I rarely quote a book's jacket cover description in my posts, but Colgan really sums up the book quite nicely in hers. Polly is brave. 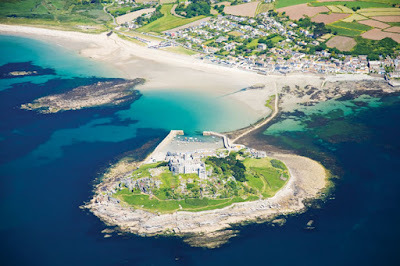 Not only does she set out on her own to get her life back in order, but she moves far away from the support of family and friends to a tidal island named Mount Polbearne off the coast of Cornwall. Residents of the island must plan their outings to the mainland around the tides because the causeway is covered twice daily! 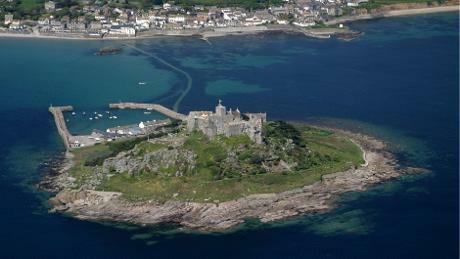 Colgan based Mount Polbearne on St. Michael's Mount in Cornwall. In the above photo you can see the causeway at low tide. When the tide is high, the causeway disappears! Polly leaves Plymouth behind and rents a drafty apartment above an abandoned bakery in Mount Polbourne because that's all she can afford. Her friends think she's daft, and several do try to be supportive of her dire circumstances after the bankruptcy and liquidation of all assets. Her boyfriend Chris has become withdrawn and abandons her. Soon she gets into a routine on the island not strictly based on the tides, but on baking. Polly loves to bake, and the local fishermen love her creations. 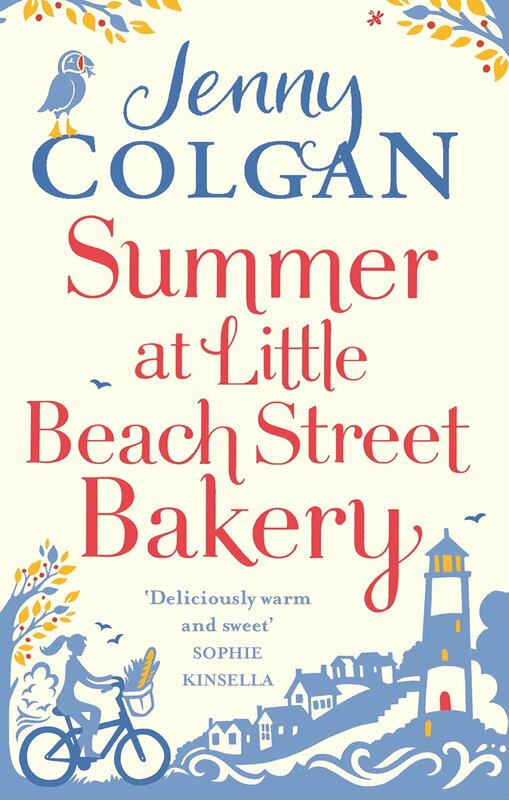 Unfortunately her landlord Gillian Manse owns the only working bakery on the island, and her bread is as nasty as her personality. 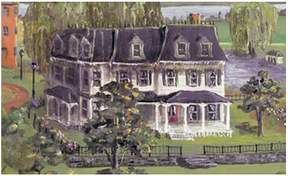 Mrs. Manse hates the competition, and she strives to make Polly even more miserable than she already is. Out of the pot and into the fire! I love Polly's personality, and I found myself pulling for her even though she isn't perfect and makes mistakes. Yesterday I promised to share one of Jenny Colgan's recipes from the book with you, but since this post is already so long I'll share it next Thursday along with another recipe from the sequel (which I started last night). Have you read any good books yet this summer? If so, please share! This is a link party! Don't forget to grab one of my Literary Friday buttons from my sidebar! It sounds like a sweet, empowering read. Perfect for summer! I just finished Jane and the Unpleasantness at Scargrave Manor, and really liked it. I'm into murder mysteries this summer, apparently (although I'm struggling to get through my historical fiction). RJ, I'm not doing much reading lately. This looks to be a fun one to pick up though. I read a couple of nonfiction recently, which is very unlike me. My husband recommended that I read them, and I'm glad I did. Being Mortal is one, and it is excellent. You totally have me wanting to jump into this book! I am falling behind on my reading list. I will add these to it for sure! I only started about a month ago. I confiscated my husbands old journaling bible that he was not using anymore. I've been too busy working in the garden and repainting our home! But as soon as all this is done, I'll sit out on the porch and read a good book..both look good! Thanks for stopping by and letting me know you enjoyed the garden!